Winter Issue of Style Magazine and hosted an intimate reception in the fabulous Chairman's suite in the Palazzo. Nip/Tuck in the role of Kimber. of Kelly Carlson and the majesty of the Palazzo in some wonderful shots all over the property. Style Magazine personifies the elegance and sophistication for which The Palazzo and The Venetian are renowned. Printed quarterly, each issue is read by over 1.5 million readers and is placed not only in all 7,100 suites, but also in the resorts fleet of private jets, 180 limousines, VIP and Concierge lounges, private pool cabanas, Canyon Ranch SpaClub®, the ultra exclusive Paiza Clubs, and high-end retail stores. The invited VIP guests mixed and mingled with actress Kelly Carlson, celebrating Style Magazine’s Winter Issue. Exquisite canapés and cocktails from Restaurant Charlie at The Palazzo were served as guests enjoyed the luxury and beauty of the 8,000-square-foot Chairman Suite. Available in both three and four bedrooms, the Chairman Suite includes a massage parlor, media room, workout room, sauna/steam room, salon room, dining room, and living room. Off of the main living room through a set of French doors, the Chairman Suite offers a terrace with a private pool, spa, outdoor shower and grassy area with lounge chairs for its guests. The private terrace overlooks The Pools at The Palazzo and is surrounded by lush horticulture that creates a private sanctuary for $20,000 per night when its available ! As we explored the Chairmans Suite and sipped Champagne outside by the suites private spa we noticed another VIP who we have met before. Collection for the Home Cook "for the guests to enjoy. attending some of the great shows that this property has to offer. speaks with Actress Kelly Carlson. We have spoken about stars in the past and those are normally Michelin Stars awarded to the world's best restaurants but in this case we are talking about stars and legends of entertainment. The 13th Annual Keep Memory Alive Foundation charity gala to benefit the Cleveland Clinic's Lou Ruvo Center for Brain health was held at the Bellagio Resort and Casino. The Gala featured the legendary Siegfried and Roy as they returned to the stage for the last time to benefit the Foundation. and actor Steve Schirripa as well hair products Mogul John Paul Mitchell were all walking the red carpet for the event. Culinary Stars Wolfgang Puck , Jean-Philippe Maury , Todd English and Martin Heierling all represented the culinary world at it's best. 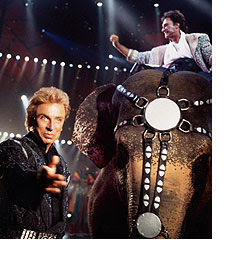 Memory Alive and to watch Siegfried & Roy take their final bow. Williams , Andre Agassi , Stefanie Graf and Emeril Lagasse in addition to a 5 day trip to Monaco and an opportunity to test drive some of the worlds finest cars as well as many more fine items. The Cleveland Clinic 's Lou Ruvo Brain Center was enlisted by Larry Ruvo, whose father suffered from Alzheimer's and died in 1994. Ruvo said it took 18 months and a California doctor to diagnose the disease after his father was misdiagnosed in Las Vegas. Since then, Ruvo has raised about $60 million for the facility, which will open July 1 in a striking building designed by famed architect Frank Gehry. This event brought out the best of Print, Film, TV and the Culinary world to support this great cause and has been doing so for 13 years. 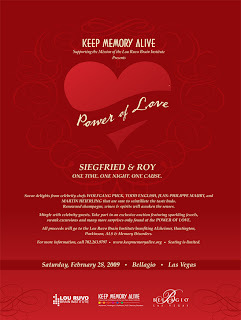 We have had the opportunity and honor to see Siegfried And Roy on a few occasions and they will be missed. To honor them we here at VINO LAS VEGAS say, Good Luck and God Speed and of course , SARMOTI ! Simply, SARMOTI is an acronym for "Siegfried And Roy, Masters Of The Impossible." Join Elaine of VINO LAS VEGAS on the Red Carpet as she speaks to Hilary Duff, Teri Hatcher , John Paul Mitchell , Wolfgang Puck and the Founder of Keep Memory Alive Larry Ruvo. ABC's 20/20 ,Anchored by Elizabeth Vargas will air at 9 p.m. ET on Friday, March 6, a special edition of "20/20" that will feature the Las Vegas Legends in a one hour special highlighting them through the years and their farewell performance at the Keep Memory Alive Power of Love Gala. This annual event takes place the first full weekend in March and includes two days of in-depth Tasting Seminars, Grand Tastings (each with a unique roster of wineries), a Featured Tasting with a guest Burgundian producer and two Gala Pinot Noir Dinners featuring prominent guest chefs. These extraordinary food and wine extravaganzas will be hosted by participating wineries and feature an outstanding panel of sommeliers from across the U.S.
Join more than 95 Pinot Noir producers from across the globe showing both current releases and library selections in three tasting tents located on the bluffs overlooking the Pacific Ocean. Savor gourmet appetizers prepared by Chef Gregg Wangard, Chef José Garcia and The Culinary Team of The Cliffs Resort. Sample exceptional cheeses from The Cheese Shop Carmel/The Cheese Shop Santa Barbara. Join more than 100 Pinot Noir producers from across the globe showing both current releases and library selections in three tasting tents located on the bluffs overlooking the Pacific Ocean and in The Grand Ballroom of The Cliffs Resort. In addition to the Focus tasting and the grand tasting you can participate in a number of seminars, dinners and visits to wineries. This is the best event by far that we have attended with some of the World's best Pinot Noirs overlooking the Cliffs and the Pacific Ocean. 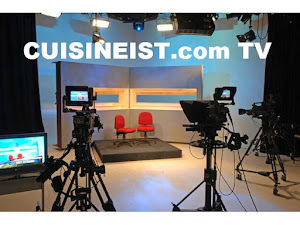 Vino Las Vegas will be there once again and will bring you interesting interviews and some big surprises . This event sells out quickly, For more information go to www.WorldofPinotNoir.com. Look for us there ! It is not often we get to enjoy a wine that is over 40 years old. As many of us already know, sharing wine and food with great friends has been going on for literally hundreds of years. Recently we had the opportunity to do just that. We were invited to a dinner party with some of our close friends . Much to our surprise they said it was time to open a very "special" bottle. The hostess produced a Chateau de Pez 1966 Bordeaux before our eyes. Opening the bottle was like anticipateing the delivery of a child. Natalie slowing began to open the bottle. We were a little disappointed when we saw mold on the top of the cork. She continued and pulled the rest of the cork out of the bottle and we were still worried that this wine may have seen its better days. Natalie poured some of wine into her glass and put it to her nose and then tasted it. She said nothing for about 20 seconds and then a smile came over her face. The wine was Great ! In the glass it showed a light garnet color with the tell tale brownish age ring this wine has deserved after over 40 years in the bottle. The palate produced hints of spices and the forest floor that finished elegantly with smooth tannins. Chateau de Pez is one of the oldest houses in Saint-Estèphe dating back to the 15th century. In 1452, squire Jean de Briscos ruled the estate followed by the “noble man” Ducos in 1526. Later in 1585 Jean de Pontac took over the estate. The Pontac family, who also created Haut-Brion, gave Chateau de Pez its vineyards. The property remained in the hands of descendants, the Marquis d’Aulède and Count de Fumel, Commander of the Provence of Guyenne until the French Revolution when the estate was sold as a property of the state. The Domaine then fell into the successive ownership of several families; Tarteiron, Balguerie, Lawton, du Vivier, Bernard, and Dousson. However, with the constant change of management the estate was not properly managed and was in need of repair. In 1995, the property was purchased by Jean-Claude Rouzaud who immediately recognized the potential of this great estate. He employed Winemaker Philippe Moureau in 1996 who spent his childhood and career working in Bordeaux. Mr. Rouzaud spent many years restoring the property and its vineyards to its original splendour.The Chateau has once again reached its glory and has recently been reclassified as a Crus Bourgeois Exceptionnel which commenced with the 2003 vintage. Celebrity Chefs take Dining to New Heights in Las Vegas as they are raised 180 feet above the Las Vegas Strip. Wine destinations and the recent Michelin awards barred that out. the biggest culinary stars in the world celebrated Las Vegas's accomplishment with a Champagne toast 180 feet above the Las Vegas Strip seated at a "table in the sky"
The day was cold by Las Vegas standards but that did not deter big name award winning Chefs like Kerry Simon, Francios Payard, Hubert Keller, Alex Stratta, Michael Mina, Rick Moonen and many others as they sipped Champagne and toasted what Las Vegas has become. 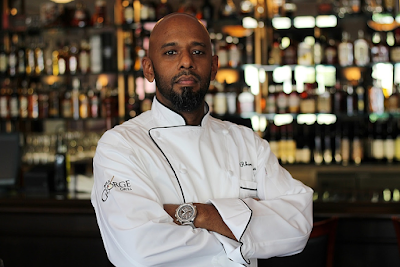 Scott from VINO LAS VEGAS spoke with Chef Michael Mina , Chef Kerry Simon, Chef Francois Payard, Chef Rick Moonen, Chef Mike Minor and Chef Theo Schoenegger of the new Sinatra at the Encore and Chef Marc Poidevin of Switch also at the Encore. They all spoke about what Las Vegas has become and where it is going in the culinary world as well as their own restaurants.